Tropical Hainan province, the frontier of China’s economic reform and opening up, has a new vice governor parachuted in from the Ministry of Commerce, as the island works to transform itself into China’s newest and largest free trade zone (FTZ). 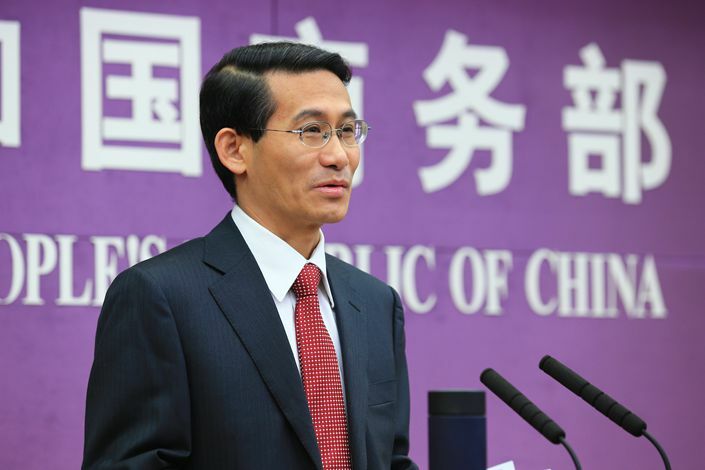 Shen Danyang, the ministry’s policy research head and spokesman, is heading south to join Hainan’s government as its seventh vice governor. His replacement at the ministry has not yet been announced. Shen, 53, has spoken for the ministry for seven years, and has a doctorate in economics. He is regarded as an expert on the service industry and trade. 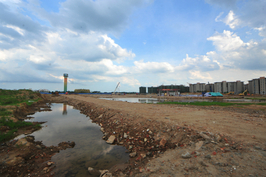 These areas are intended to be central to Hainan’s development over the next few years. 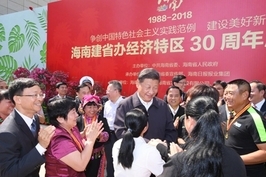 He is now serving under Hainan Governor Shen Xiaoming, who was also sent in from the central government, having previously worked as vice minister of the education ministry. He was elected vice governor at a meeting of the provincial legislature’s standing committee that wrapped up Tuesday, local media reported. Plans are underway to upgrade Hainan from a special economic zone to an FTZ by 2020, and to shift the island’s economy away from real estate and toward tourism and services. While a special economic zone can offer tax and other incentives to attract foreign businesses, it still operates under China’s domestic import and export rules. In an FTZ, goods can be imported, manufactured and re-exported without intervention by Chinese customs. China already has 11 FTZs in operation or under development; Hainan, with a population of 9 million, would become the largest. Other measures to encourage the island’s development include allowing sports lotteries and horse racing, and pushing eco-friendly development. On May 1 Hainan began granting visa-free stays to travelers from 59 countries. The island also plans to be the first province to phase out internal combustion vehicles. The local government had said it planned to make Facebook, Twitter and YouTube, which are blocked on the Chinese mainland, available in foreigner-only communities that will be built in two of its major cities, but the notice was later taken down. Shen joins an administration keen to improve the province’s stock of talented workers. A lack of such workers has been raised by experts as among the more important challenges that stand between the island and achieving the ambitious plans laid out for it. Others include a reliance on the real estate sector and poor public services. Is Hainan’s Horse Racing Boom Another False Start?